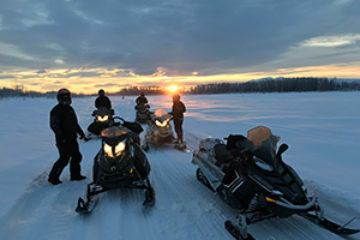 If you’ve ever dreamt of speeding through a snow-covered landscape, or retracing the famous Iditarod sled dog trail, but thought a wintertime backcountry Alaska adventure was out of reach or only for experienced snowmobile riders, then you don’t want to miss out on a winter snowmobile tour with Alaska Wild Guides. 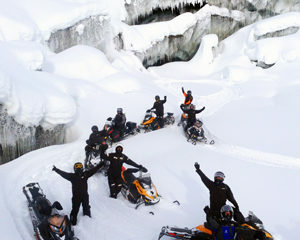 We offer visitors both multi-day and single day snowmobile tours during the winter season from Dec 1 to April 20. 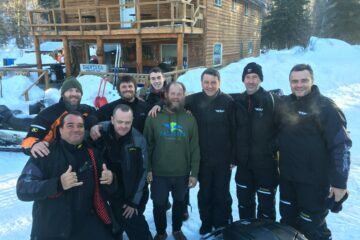 Plus, we can tailor our tours to your skill level which means any of our snowmobile adventures are perfect for experienced and beginning riders alike. In Alaska, we call snowmobiles, snow machines, and they can take you to places in the remote backcountry that no car can reach. When you go on one of our winter adventures, you’ll get the opportunity to see glaciers up close, visit ice caves, and see wildlife like lynx, moose, rock ptarmigan, and perhaps even wolves. Are You Ready for the Alaskan Trip of a Lifetime? You’ll truly experience the trip of a lifetime that’s different from most group tours. We keep our tours small, usually just six people, with a max of twelve riders and a minimum of two. Keeping things to an intimate group is what allows us to create an experience that’s customized and tailored to your comfort level. Whether you have just a day or want to spend a week or two exploring everything winter in Alaska has to offer, we have a backcountry snowmobile adventure that’s right for you. 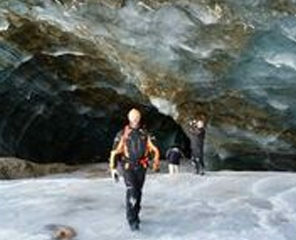 Small group adventures guided by experienced guides from Alaska. Be it a day trip or a week long adventure into the backcountry, Alaska Wild Guides aims to make it a trip of a lifetime. On trail lunch provided. Full riding gear available. No experience necessary. Bring your camera and a smile because this is all about having fun! There’s no substitute for really being there, and there’s nothing like winter in Alaska. Imagine yourself in a wilderness blanketed in ice and snow that few will ever see. The landscape is so cold, quiet, and serene; it’s almost like stepping back in time. Book your tour today!